“I knew I was making progress when Tory said to me, ‘I forgot I had cancer for an entire day’ with happy tears rolling down her cheeks. My heart was full.” – Julie S.
If summer brings to mind fond memories of spending time outdoors, swapping stories by starlight with wonderful friends, laughter, and adventure, then Raft 4 Life is the perfect end-of-summer activity you don’t want to miss! 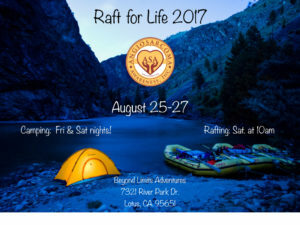 Spend a weekend rafting down the American River and camping with other amazing friends, family members, patients, and survivors of angiosarcoma. Raise funds for research, be inspired, and enjoy nature! Beyond Limits Adventures will guide us down a seven-mile stretch of the American River, including class 2-and 3- level rapids. No experience necessary, and a safety/training class is included prior to boarding your raft! Lunch will be served as we float down the river, so you can keep your eyes focused on the beautiful natural fauna and flora, in addition to the breathtaking scenery. 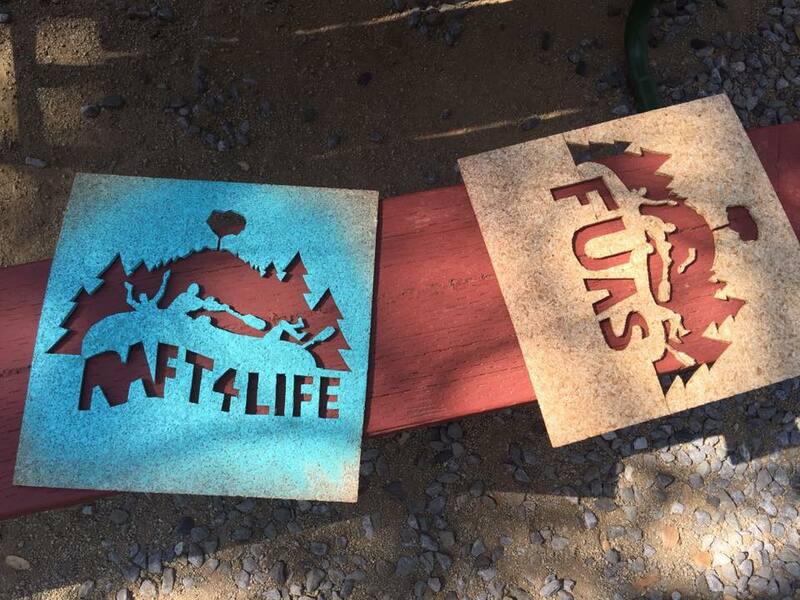 After the rafting wraps up we’ll head back to camp for snacks, happy hour, dinner, dessert, and more fun by campfire. If a weekend of bonding, laugher, and support sounds appealing, we hope you’ll join us for our fifth amazing event!